To celebrate St. Patrick’s Day, those guests booking one of Fred. Olsen’s four selected sailings by 8pm on Monday 20th March 2017 will be treated to a free upgrade to its ‘all-inclusive’ drinks package, on selected drinks. 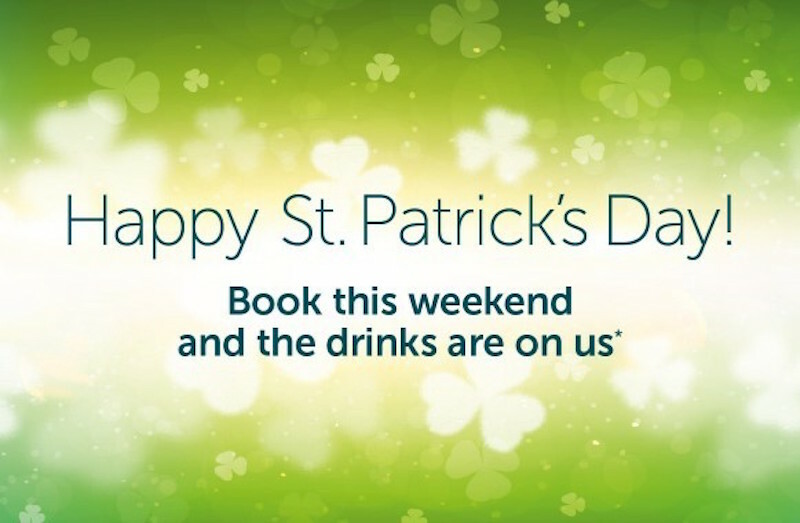 To take advantage of this offer, quote ‘STPATDAY’ at the time of booking. Guests can then relax and enjoy designated house wines by the glass, selected beers, spirits and soft drinks all day and evening. 1) Boudicca’s eight-night ‘Lochs of Scotland’ cruise, departing from Belfast on 8th May 2017. Prices start from £699 per person (for an Interior Room). 2) Braemar’s ten-night ‘The Lochs, Castles & Coasts of the British Isles’ cruise, departing from Southampton on 21st May 2017. Prices start from £1,099 per person (for an Interior Room). Ports of call: Southampton – Edinburgh (from Rosyth), Scotland – Cruising Loch Linnhe – Fort William, Scotland – Cruising Loch Linnhe – Cruising by Duart Castle – Belfast, Northern Ireland – Dublin, Ireland (overnight stay) – Falmouth, England – Portland, England ‎– Southampton. 3) Balmoral’s eight-night ‘From the Highlands of Scotland to the Lizard Peninsula’ cruise, departing from Newcastle on 6th August 2017. Prices are from £1,099 per person (for an Interior Room). Ports of call: Newcastle – Oban, Scotland – Cruising by Duart Castle – Cruising Firth of Lorn – Belfast, Northern Ireland – Dublin, Ireland (overnight stay) – Falmouth, England – Portland, England – Newcastle.